Sea kelp is algae, a type of brown seaweed that grows in the ocean. It can reach astronomical sizes and as of late is becoming a popular dietary supplement mainly due to its iodine content. Eastern countries have consumed this sea veggie for years but we are seeing it in the United States in everything from dishes to deep conditioners. Now the advantages of consuming or using sea kelp are vast and while eating it is a great way to garner those attributes, for many it is an acquired taste and not for everyone. For the rest of us there are supplements or products that harness those goodies for us so we do not have to eat it raw. Sea kelp is in a plethora of vitamins, macronutrients, and minerals. It contains 46 minerals, 16 amino acids, and 11 vitamins. Iodine, iron, potassium, phosphorus, and salt are the most prominent minerals, while niacin and vitamin A are the lead vitamins. Because of its high iodine content, sea kelp is essential in regulating thyroid hormones but also perfect for persons suffering from a deficiency in iodine. It is excellent for hydration and improves metabolism and increases energy. It is an alkaline food and great for maintaining an acid base balance in the body and can even protect against radiation poisoning. From cleansing to toning, moisturizing to repairing, sea kelp is a winner on all fronts for hair and scalp. If someone is deficient in minerals or vitamins due to illness, hormones, or diet, then sea kelp is excellent in adding those nutrients to the body as a supplement. Whenever there is a deficiency in the body of a vitamin or mineral, hair is the first to go. For instance, a zinc deficiency may cause thinning hair. Actually, a deficiency in iron or potassium can also cause thinning hair or hair loss, so sea kelp being rich in iodine, potassium, and iron is an ideal fix. The iodine in sea kelp is not just great for regulating the thyroid, it is also great for treating dandruff. Several of the minerals in sea kelp along with iodine will promote a healthier scalp and stronger hair. 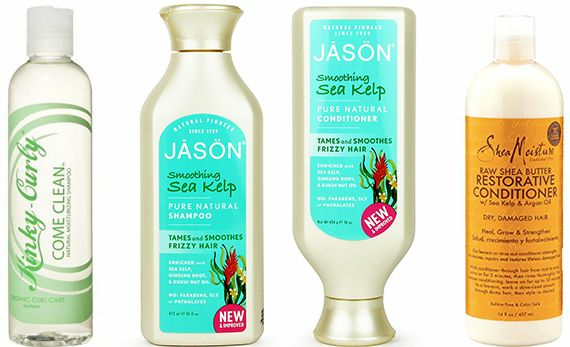 Sea kelp has been added to shampoos, conditioner, and hair treatments for strengthening and nourishing hair and scalp. Our hair and scalp need proper hydration and sea kelp will hydrate both and improve dry hair. 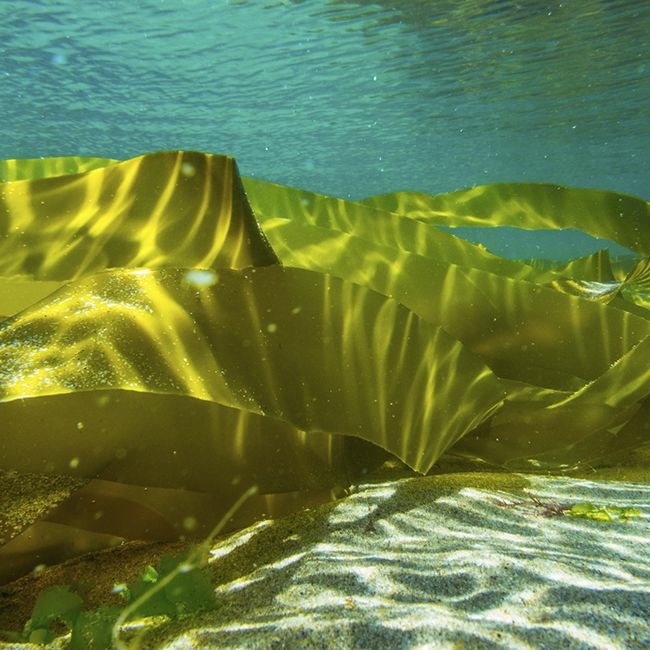 The best way to get all the nutrients and vitamins of sea kelp is through consumption, and a diet rich in vitamins, proteins, and minerals will yield a healthier body and in turn a healthier scalp and hair. There are sea kelp supplements and there are several hair care brands that add it to their formulas for easier use if consumption is not the way you choose to use sea kelp. For the DIYers in the group here’s a hair mask just for you. Mix all the ingredients together in a bowl and add enough water to create a paste. Spread through wet hair and let sit for 45 min. Rinse thoroughly and style as usual.